ArtPrize Newsletter: ArtPrize 10 is Almost Here. Are You Ready? Blog > ArtPrize Newsletter: ArtPrize 10 is Almost Here. Are You Ready? What Can I Do This Week (Sept. 12-18)? ArtPrize 10 Highlights: September 12 from ArtPrize on Vimeo. Check out artists installing their work across the ArtPrize District. Tune in to our Facebook Live interviews with grant-winning artists. Download the ArtPrize 10 mobile app, free for iOS and Android. Snag free tickets to any of 7 film screenings through ArtPrize On Screen, produced by Studio C and presented by the Michigan Film & Digital Media Office. Sign up to volunteer with our team. Get a sneak peek of ArtPrize exhibitions and attend an event or two during Preview Week. Enjoy 90 pieces of jury-selected art pieces, and jumpstart your collection, at All Art Works Fall 2018. The ArtPrize 10 mobile app makes voting super easy. 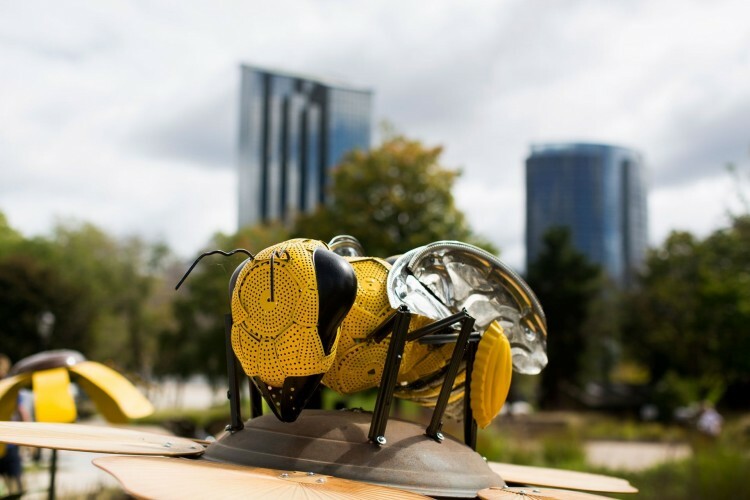 The ArtPrize team offers 10 tips to have an amazing experience at ArtPrize 10. Rosa Parks Circle transforms into the ArtPrize Visitor Pavilion. 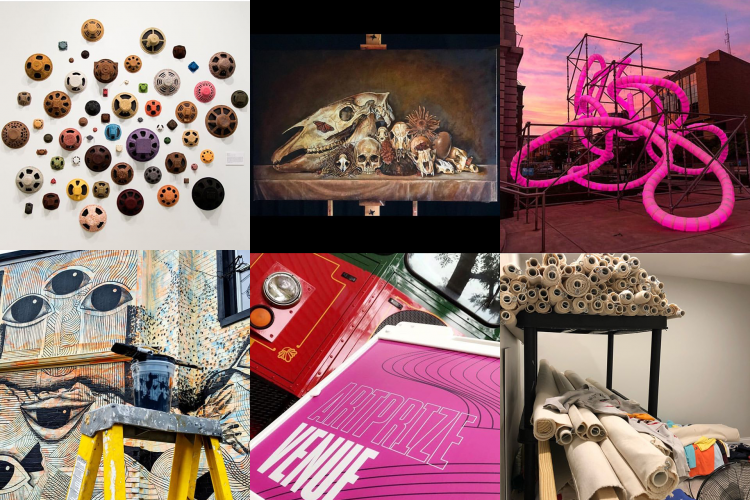 ArtPrize Artist Week offers six professional development opportunities to artists — whether they’re participating in ArtPrize 10 or not. Get details on Meijer Gardens’ partnership with DisArt for their ArtPrize 10 exhibition. Have kids ages 13-18? Find out how you can volunteer together at ArtPrize. 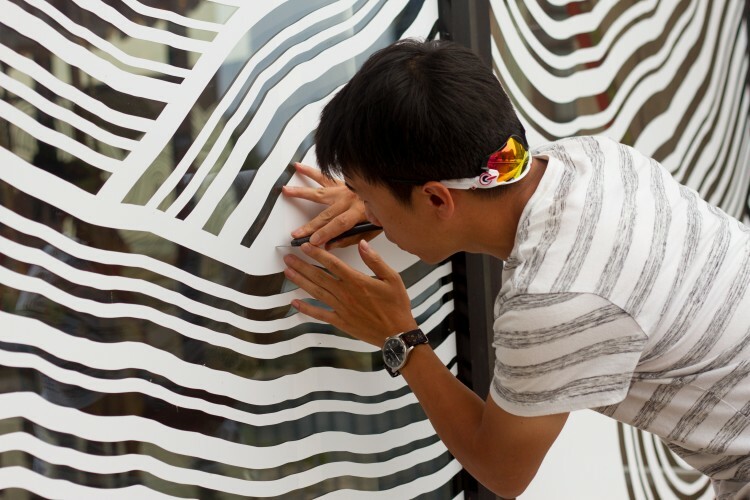 Photo: Taro Takizawa installing "Enchanted Moments" at the Grand Rapids Public Museum. Take your little ones out to enjoy watching artists install their work throughout Preview Week! Stop by, say hi, and get to know more about the creative minds who contribute to the transformation of downtown Grand Rapids. Daily activities for kids of all ages will commence September 19 and will run throughout the entire event. Plan ahead by visiting artprize.org/learn to see what interactive activities are in store for ArtPrize 10. Photo: "A.N.T.S." by Justin La Doux at Gerald R Ford Presidential Museum. 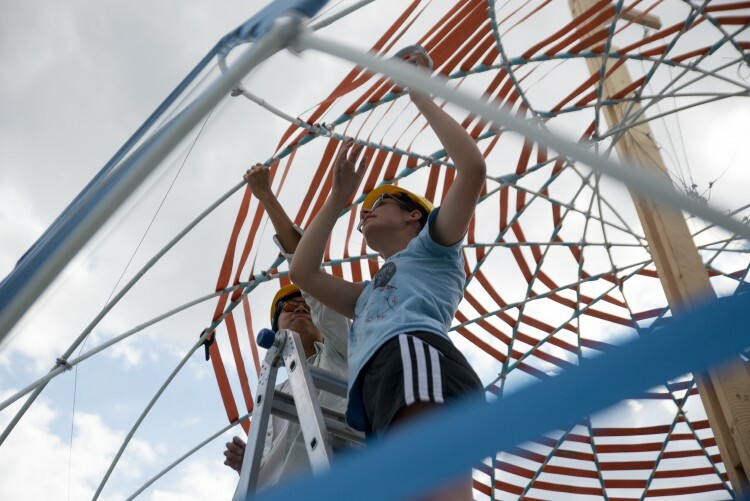 Photo: SLO Architecture installing "Harvest Dome 3.0" near the Grand River.